The Art Club is working with the Children’s Advocacy Center of Smith County to help raise awareness for child abuse in April. 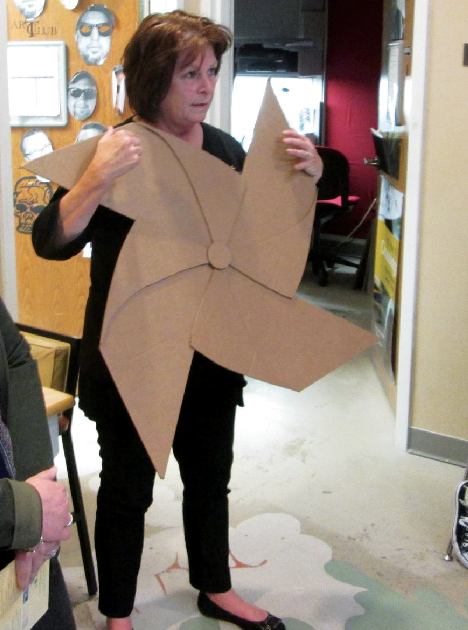 The center has provided the art club with 30 pinwheels that they will decorate, paint and design throughout March and, when finished, they will return them to the center. The Advocacy Center will then sell the pinwheels to their supporters to help benefit the program. The pinwheels will be displayed in the buyers’ front yards to help raise awareness of child abuse. The Children’s Advocacy Center of Smith County’s mission is to help children of physical and sexual abuse and is dedicated to reducing trauma for the victims. For art major Scott Moore, the idea of raising awareness for and contributing to the cause started a year ago. The center was created in 1994 and there are now 70 centers throughout the state. The Children’s Advocacy Center of Smith County is located at 2210 Frankston Highway, Tyler, Texas. Their phone number is (903) 533-1880 or they can be found at www.cacsmithcounty.org/. “I’m happy to have a drop in the bucket to help people realize that they are not alone and they are not the only one that this happens to,”said Art professor Philana Pace. The Art Club meets every Wednesday at 11:30 a.m. in the Art Lobby located in Jenkins Hall.